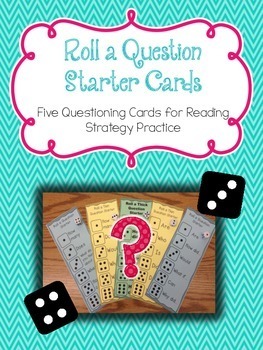 Great for independent practice, buddy practice or guided reading for reinforcement in the area of questioning, these question starter cards will give your students a kickoff for their questions. This resource includes 5 question starter cards, two thin, one thick, and two with a combination of both. Also included are a directions page for independent practice, a directions page for partnered practice, a and a recording page. 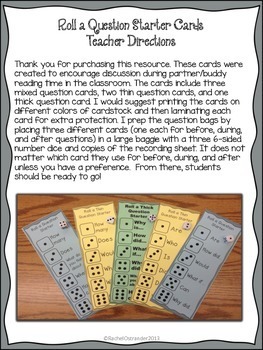 Just add dice and you've got a great activity to practice and reinforce questioning in your classroom! As always, please contact me with any questions BEFORE leaving feedback. I'm happy to help whenever I can!